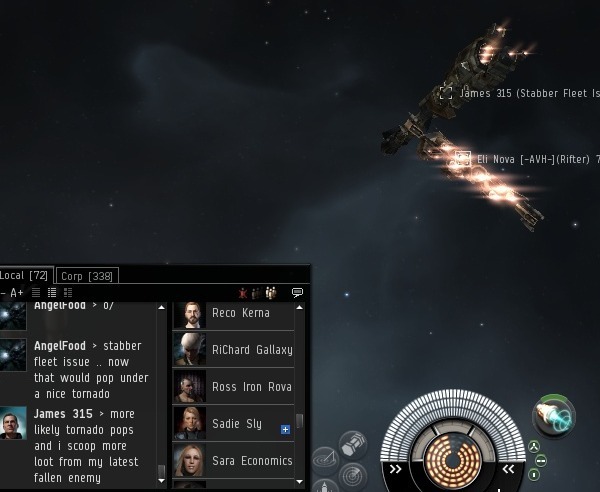 In an earlier post, we explored the highsec miner practice called the Carebear Stare, in which a rebellious miner tries to scare me by locking without ever shooting. Today's entry in the "Things That Don't Work" series is a classic: The counter-bump. I first bumped miners in the Arvasaras system, way back at the beginning of this year, long before the New Order was born. One of the first things miners did to try to defeat me was the counter-bump. 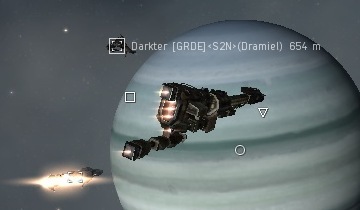 The name tells the story: They would bring in a ship of some kind and try to bump me away from the miners. In theory, this should at least disrupt my flying enough to stop me from continuing my bumps. In practice? Take a wild guess. Often, the counter-bumpers will bring a small ship. The idea is to be fast enough to hit me. However, a ship that lacks heft will also have difficulty imparting enough force to bump--which is why I always fly a cruiser-sized ship. Even worse, the faster ships really aren't that much better at hitting moving targets. The vast majority of the time, they miss. You can't bump what you can't hit. 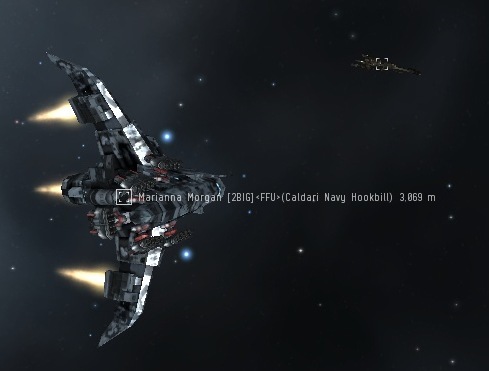 Pictured above is the Caldari Navy Hookbill. It's a surprisingly popular choice for counter-bumpers. No matter how agile the ship, it just can't seem to counter-bump. The rifter isn't used so frequently as a counter-bumper, but when it is, it breaks my heart. 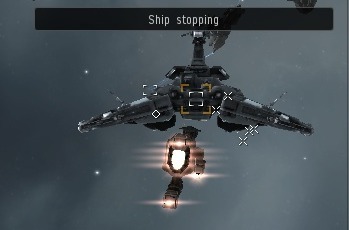 I have a soft spot for the rifter, and watching it fail brings me no joy. Would using a swarm of the small ships work better? Nope. It's been tried, and it just means more ships not hitting me. Why do so many people try to bump me when it doesn't work? There are two explanations. One is that my enemies see me bumping to great effect, so they try it themselves. The other explanation is that the GMs are telling them to do it. Early on, after I was first petitioned by people who admitted to it, I asked the petitioners what response they got. They told me their petitions were denied, and that the GMs gave them a list of things they could try in order to deal with me. One of these things, it seems, is counter-bumping. Whatever the reason, counter-bumping is a universal tactic, and a day hardly goes by without a handful of counter-bumpers trying to succeed where everyone else failed. They say imitation is the sincerest form of flattery. I believe it, and that's why my favorite counter-bumpers are the ones who model themselves after me. These include stabbers, vagabonds, and of course, Stabbers Fleet Issue. They soon learn bumping isn't as easy as I make it appear. When someone brings a copy of my ship and tries to counter-bump me, all I can say is, "You know the difference between you and me? I make this look good." Some counter-bumpers spare no expense. 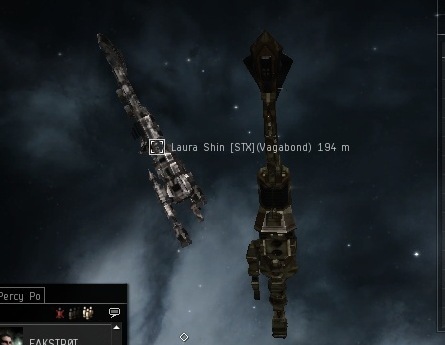 A tech III ship? 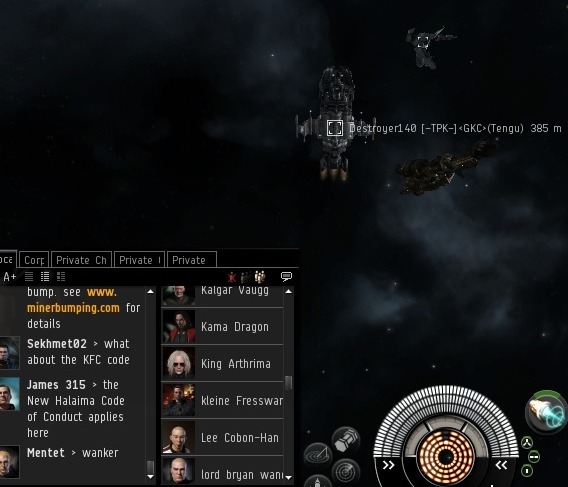 Failing to hit the bumper in the highsec ice field for an hour is as good a plan as any. Then there are the unconventional choices. Here we have an example of a speed-fitted scorpion trying to counter-bump and give me the Carebear Stare. What can we learn from this? A few things. First, if a dramiel can't hit me, a scorpion probably won't have better luck. Second, a bumping ship probably isn't very intimidated by a jamming ship. Third, the scorpion just looks cool anyway. That's the plan! Thanks for your encouragement. "Doing gods work" and "Amen, love it!" are the kind of comments that only strengthen my opinion about religious nutters.